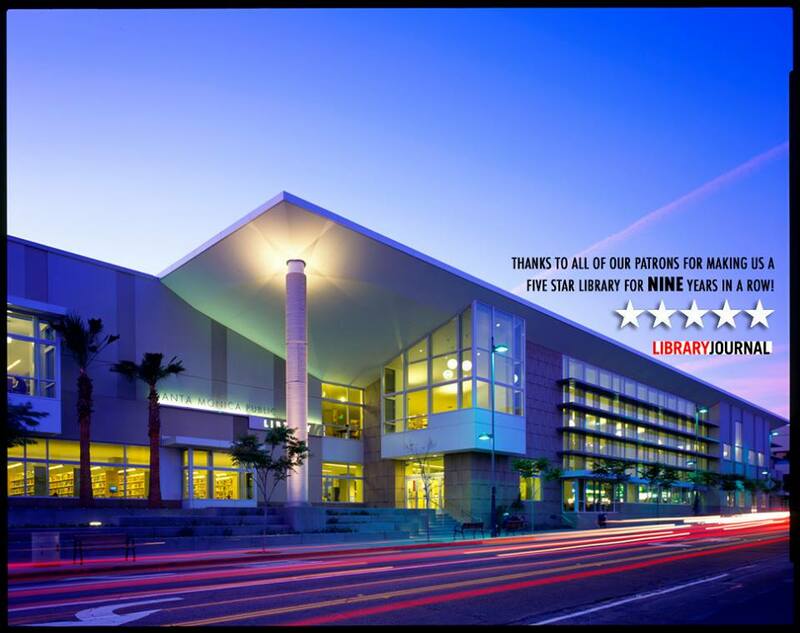 The Santa Monica Public Library has earned its ninth consecutive 5-star rating. SANTA MONICA—The city of Santa Monica website revealed that for the ninth year in a row, the Santa Monica Public Library has earned the top five-star rating from Library Journal’s national rating of public libraries. According to a press release from the city of Santa Monica, the Library Journal (LJ) Index of Public Library Service spotlights the “best of the best across America.” The Index gives an overall indication of how a library’s performance measures up to peer libraries and provides guidance on how public libraries can improve their stakeholders of achievements, service opportunities, and improves library awareness and funding. Two prime per capita measures, circulation and visits, continue to prove Santa Monica Public Library as a star library. Other important factors including a welcoming facility with engaging programs, and collections with diversity and depth that appeals to the community. Technology and e-media are important factors affecting scores. The 2018 ratings are based on 2016 data from the Institute of Museum and Library Services. The LJ Index ranked 7,361 public libraries on the level of service they deliver by evaluating per capita circulation, circulation of electronic materials, visits, program attendance and public Internet computer use. A total of 257 public libraries earned three, four, or the highest, five-star rating. To obtain more about Santa Monica’s five-star ranking read the full article from Library Journal. For more details about the SMPL visit one of Santa Monica’s five branch libraries or www.smpl.org.